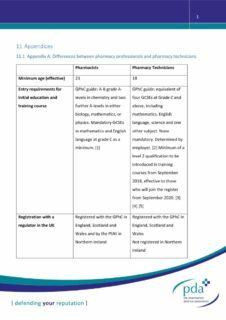 This is the appendices of the pharmacy technicians report that assesses the current roles and capabilities of pharmacy technicians in the UK. Thank you. I would not have achieved this success without your invaluable support. Justice prevailed. Looking forward to relaxing, without all the added weight on my mind. Thank you again, I’m truly grateful for everything.